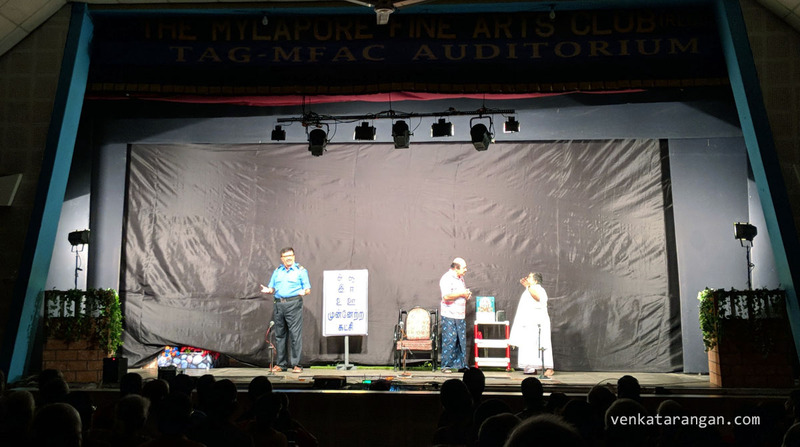 In the Tamil stage play scene, Y.Gee.Mahendra is a celebrity and the troupe UAA (United Amateur Association) started by his late father Sri Y.G.Parthasarathy has been entertaining its audience for 66 years, certainly no small feat! 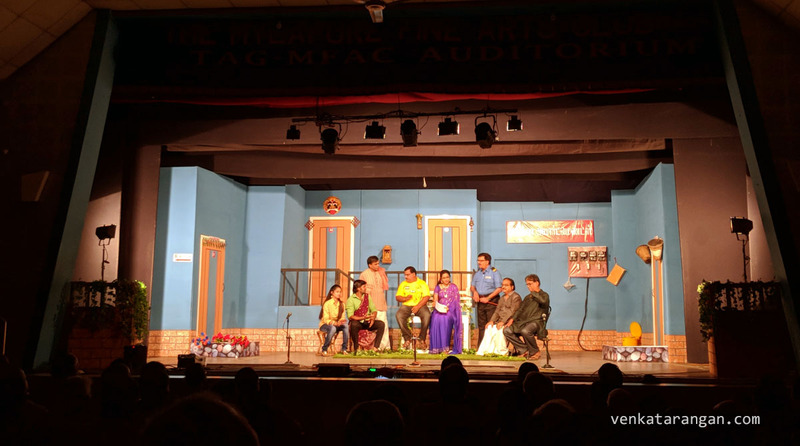 Yesterday they released their 67th play titled “3 Ji” (3 ஜி – ஆவி வந்த நாடகம்), a political comedy. 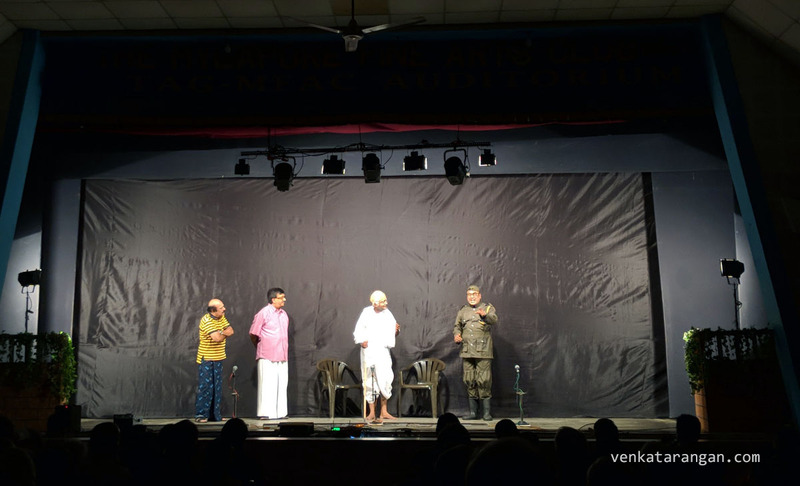 The play is about an election for office bearers that’s happening in a local apartment complex, the twist is that the two contestants are being helped by Gandhiji and Netaji in their intangible forms. 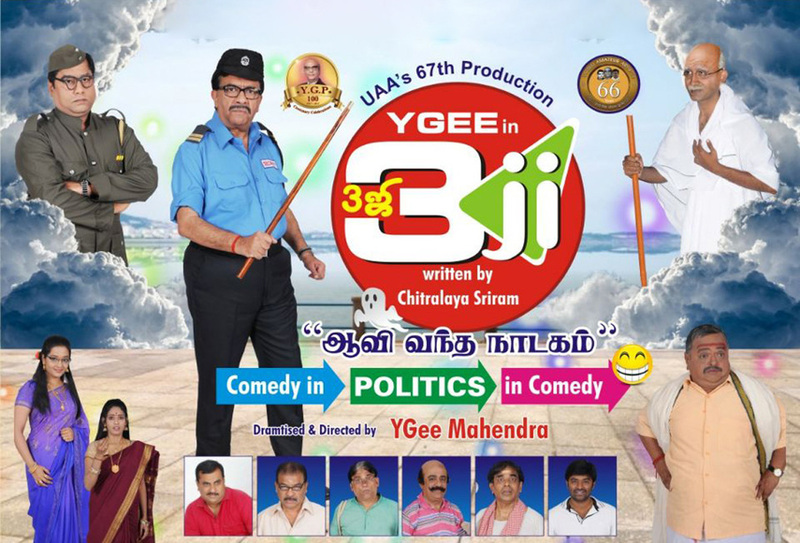 Y.Gee. 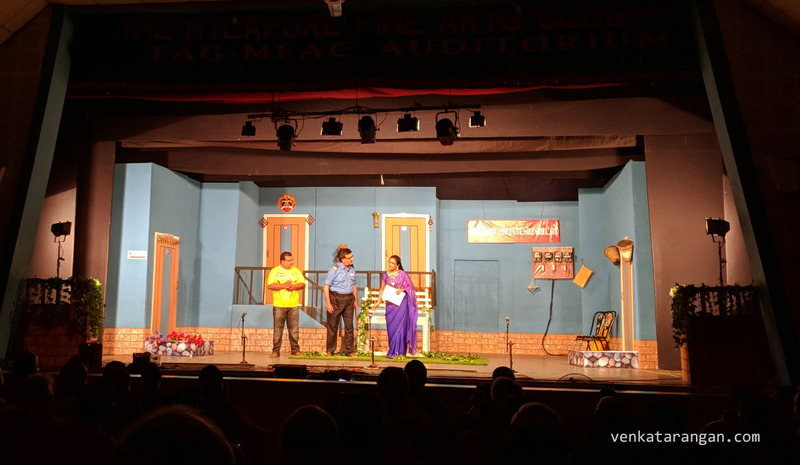 Mahendra rocks the stage as “Damuji, the security guard of the apartment, who later turns into a successful politician – his dialogues making fun of contemporary political scenario in the state was a laughing riot. 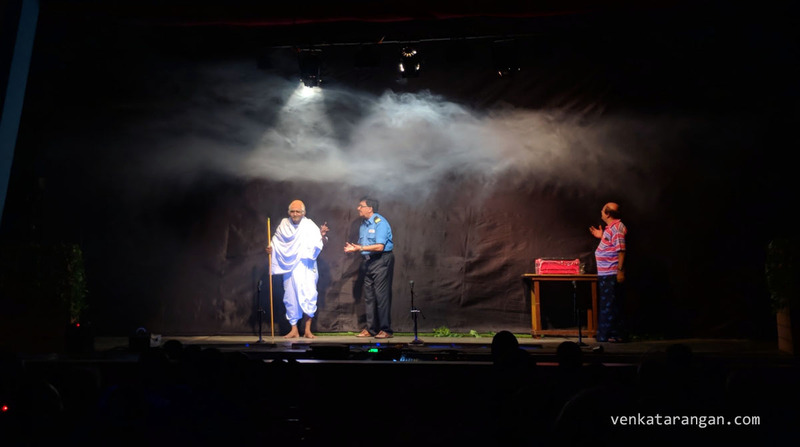 The play shines due to brilliant casting – Raghav doing well his role as Gandhiji, Ramchandra Rao as Netaji giving an outstanding performance with his formidable body language and fine delivery of Bengali dialogues, and, R. Balaji as Manickam, the sidekick to Damu, with his humour. 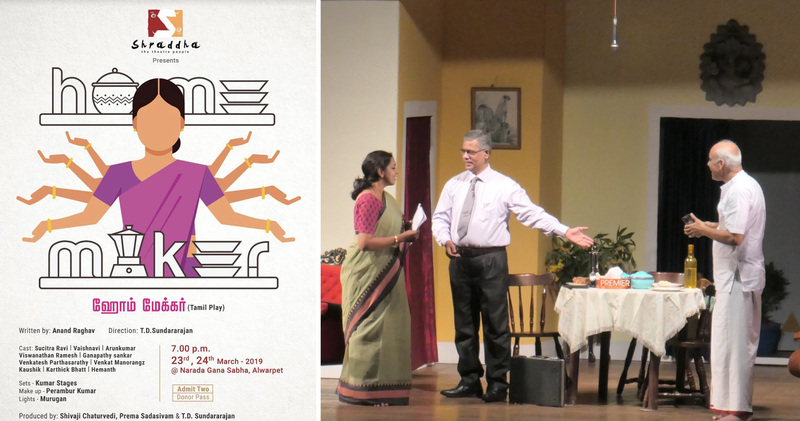 The play was imaginative and entertaining. 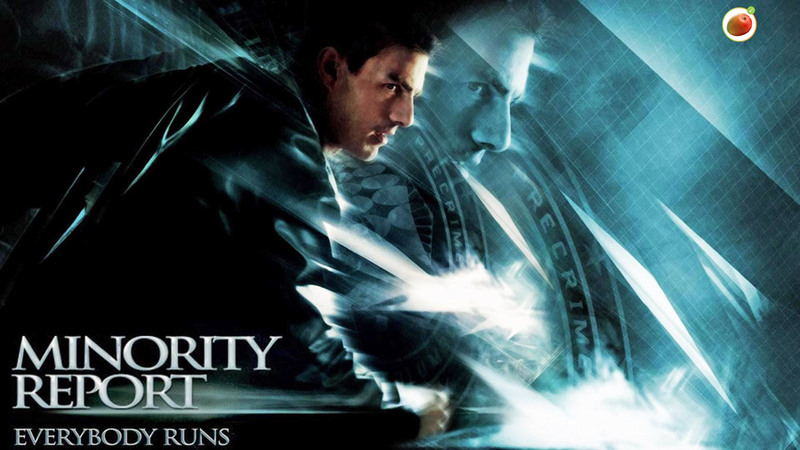 The theme song was catchy too. 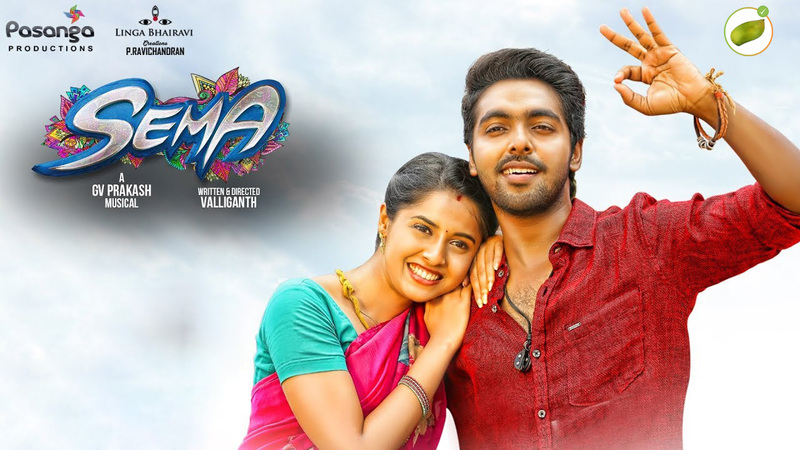 The running time could’ve been a bit shorter, the second half felt a bit dragged especially lengthy dialogues containing history facts. 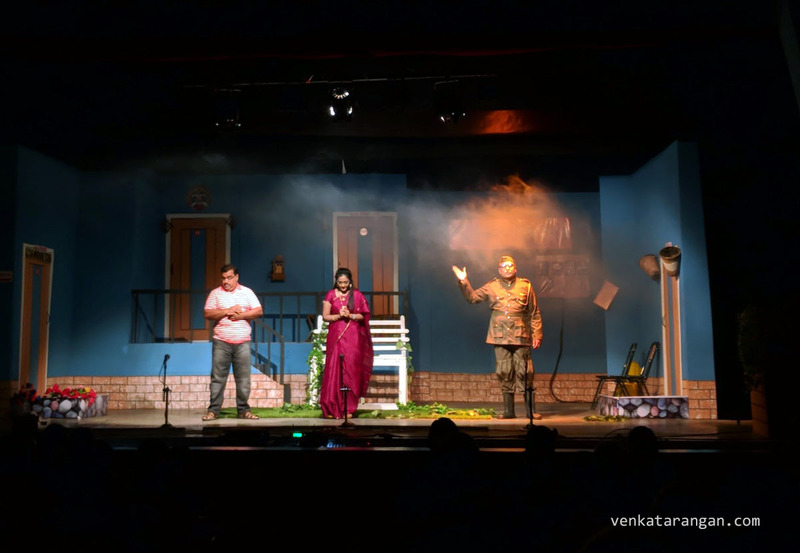 A fun way to spend an evening, don’t miss it next time the play is staged nearby.